Rochelle Holguin is Vice President, Creative Music Strategy for Viacom Brands: MTV, VH1, BET, Logo, CMT and Whosay. 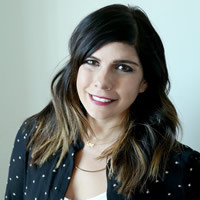 In her role, Holguin oversees music supervision for content creators across programming, marketing and digital, as well as the recently launched MTV studios business. Holguin also spearheads A&R and marketing initiatives for the global Viacom Production Music Library. Prior to her current role, she was VP of Creative Strategy at Universal Music Publishing Group where she served as the creative liaison between A&R and the Film/TV department. Previously at MTV, she developed and executed music marketing campaigns for primetime series’ such as Teen Wolf, Awkward, Faking It, The Real World, Teen Mom, Jersey Shore and The Hills among others. Prior to MTV, she was a music coordinator at Hit The Ground Running Inc. Holguin serves on the advisory board for Women In Music and the NVAK Foundation, and, in her free time, she serves as a mentor for Brown Girls Dream.